Greeting, fellow fans of Halloween costumes! Ready to find a ridiculous rally of wistfully wondrous words? a noun (a name, place or thing). With those words, place them into the text below to see what Halloween story you come up with. Once upon a time there was a [ADJECTIVE] Halloween Alley fan called [YOUR NAME]. In excitement for Halloween they would [VERB] with their friend [FACEBOOK FRIEND] all day. [ADVERB], they crossed off the dates in their calendar knowing that as soon as October 31st arrives, they can put on their brand new matching [NOUN] costumes. Now, that’s how you Celebrate Life, Halloween Style! How did your story turn out? Let us know on Facebook for a chance to win a gift certificate – or why not tell us in person at your neighbourhood Halloween store. 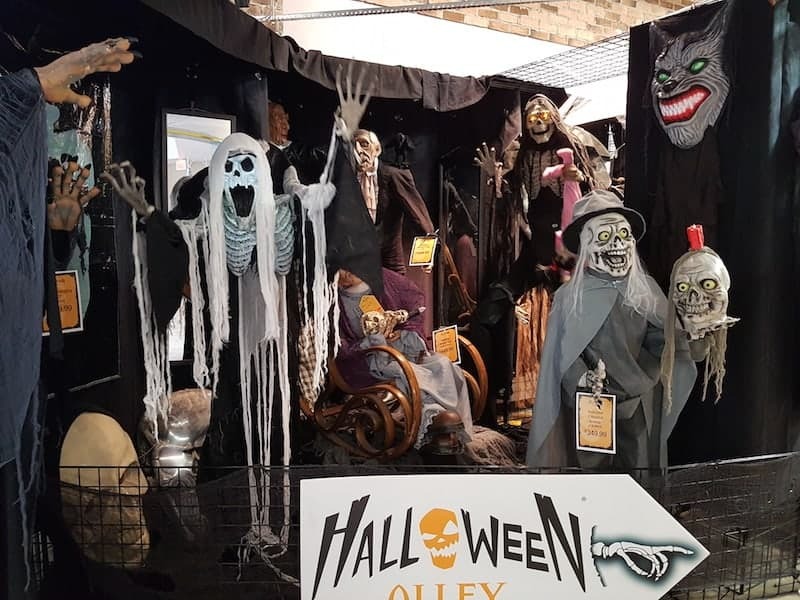 It’s Storybook Week at Halloween Alley, meaning we’ll have all the magical Halloween decorations and props to bring life to your stories.